When you finally find your dream car and you are not in the best financial position to pay for it, what do you do? Most people will opt for a financial boost from a bank or other type of lender. If you do settle for the option of taking a loan to finance your next car, you need to understand the financial basics of car loans to guide you through the jargons of choosing the loan that suits you. 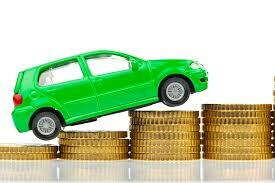 Getting a car loan gives you the offers a financial alternative you may need to buy a new or second hand car. The process is simple and involves you borrowing from a lender and paying back in an agreed timeframe with the agreed interest. Lenders earn their profit on the money they lend you from the interest you generate over a specified time period. The interest rate is only a small percent of your loan principal. For instance, if you borrow $10,000 at a commission rate of 5%, then you will pay back around 11,000 to the lender. When you finally own the car, then maintenance, taxes, insurance, gas and everything associated with car ownership becomes your responsibility and not that of the lender. This means that the lender only owns the car but you handle the responsibility until you pay back what you owe. There is a common misconception that once you sign a loan the car is yours, unfortunately the lender can repossess the car if you default on payment. The loan term is the length of time the lender gives you to pay back the loan. It could be anything from 2 months to five years depending on what you agree on. In many cases, monthly installments are a common mode of payment for car loans. The amount of interest you will be charged depends on your credit score. Some people will receive different interest rates either high or low. If you have been paying your bills on time, you get a better rate than a person who applies for the same loan albeit with a bigger debt or how consistent their mode of payment is. If your debt to income ration doesn’t appeal to the lender, they might shy out with caution assuming you might not be able to pay them back. In such a situation, the lender may demand a higher down payment and a high interest rate to minimize the risk. Before you apply for a car loan, or any loan in particular, know your credit score in advance and take steps to make sure it is as high as possible. If you can raise your score to about 720, you are guaranteed best rates with many financial institutions. At this point, a good strategy would be applying for a car loan with different lenders to multiply your odds of getting a loan. This works with college and job applications and it is the same with financial institutions. Confirm with banks, credit unions and other lenders to know what they have on offer. Go through forms and the application process and enter your details but make sure to outline any outstanding debts you might have be it credit cards, mortgage, student loans etc. Apply to different lenders at once or within a certain time frame so lenders can know you are looking for autofinacing. Keep in mind that different loan applications spread out in months may lower your credit score hence the reason to apply at the same time. Keep all your applications honest and do not be tempted to exaggerate your income or give a wrong debt figure. This information, plus your credit score and credit history is what the lender uses to process your request. On your part, avoid loans that charge insane fees, high interest rates and a loan term that’s too long. Longer terms may have lower rates in the short term but become expensive in the long term. Also avoid loans with all sorts of fines and penalties. You can get your car loans from credit unions, banks and more conveniently, online lenders such as myautoloans.com. Their application and loan processes are private, secure, and confidential. You also don’t have to worry about extra fees or a complex and slow process. Just like other financial institutions, online lenders have varying interest rates and requirements, and looking around is a good place to start.